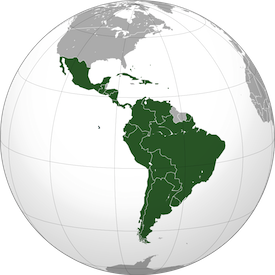 Welcome to Suzanne S. Tiemstra’s Latin American Choral Music web site. MISSION: to provide as much information as possible on a wide variety of relevant subjects to scholars, educators, and performers at many levels, that will lead them to the music and to other sources of information. 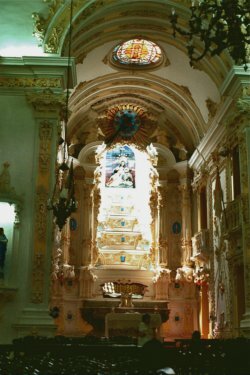 A WORK IN PROGRESS: This web site is a work-in-progress compilation of information about choral music by Latin American composers from 1550 to the present. LANGUAGE: at this time English is the primary language of this site. Spanish will be available as soon as possible. TYPES OF MUSIC: On this web site you will find information about many kinds of choral music. Most, but not all of it relates to “art music” rather than world or folk music. Original compositions and arrangements are included. COMPOSERS: I have tried to include the most outstanding composers, authors, publications, performers and institutions, but I make no claim to list them all here. EVALUATIONS: I make few evaluations and judgments about the composers and their works, but I do include some comments in quotes from reliable sources. INTERACTIVE CAPABILITIES: This website can be searched, enabling the user to find specific information very quickly. SUPPORT: Presently, this web site is supported by the author. In the future, other people and organizations will be invited to contribute through advertisements, added pages, and additional features.